A working method has been developed with which we already at the designing stage are present to develop solutions according to an established structure – an Edge Protection Analysis. We identify situations where a risk of falling may be present, and solutions are then specified already at the design stage. 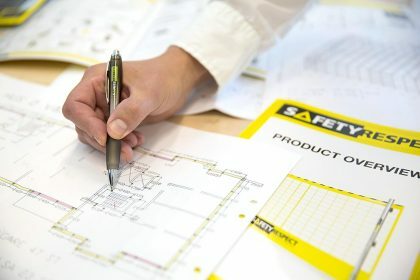 We co-operate with the project management, designers and local managers to create safe working sites. 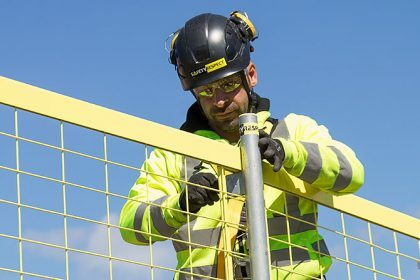 At the start of new projects we carry out training of installers and safety representatives in regard to laws and regulations, and the current edge protection solutions. The installers also get instructions as to individual checks with checklists and work methods. The training and instructions are adapted to the requirements of the projects and are carried out, where possible, at the working site. We also train the users in how to use the protections installed by the installers. Many different professional groups handle the edge protection on a daily basis, and therefore good knowledge is essential. 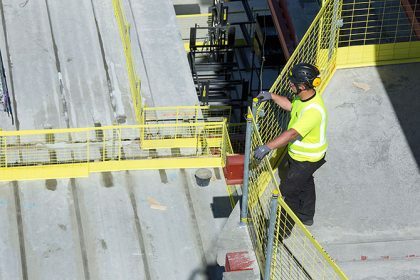 Follow-up tasks are continuously carried out, including measures in order to assure the highest possible degree of safety at the working site. This SafetyCheck is a safety inspection that focuses on the installed edge protections. What we create together with our customer is a safe working site with a clear structure, analysis, solutions and documentation. 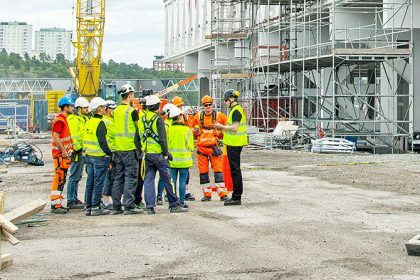 With the correct attitude from the management and personnel in all sectors and available competence, together we create safe, and for all parties, profitable construction sites.